The sound of continuous chopping, as local construction workers clean up vegetation, greets me this bright morning as I sit on the patio of the Gamboa Schoolhouse with a cup of steaming coffee in hand. A toucan flies past, a hummingbird alights in a tree, a frigate bird glides in the distance, and a pair of tropical mockingbirds flies over the football pitch (or soccer field, if you prefer). The air is cool, but soon the sun will become less forgiving and all will flee to the shade or air-conditioning. A local man chops at tree branches with a scythe, while a few others dig up the ground. Ernesto, the cook’s husband, stops to tell me and Alex how this is the best time of year in Panama. A couple of months ago, thunderstorms banished all to shelter (“Boom, boom, clack,” he explains) and a couple of months from now, the heat will take over (he airs his shirt). A small church with whitewashed walls and red roof lies adjacent to us, and a public swimming pool calls to us from beyond the field. The sky is blue, the grass is green and the breeze is soothing. You can't make this stuff up. Okay, I may have used some poetic license. The coffee isn’t steaming. 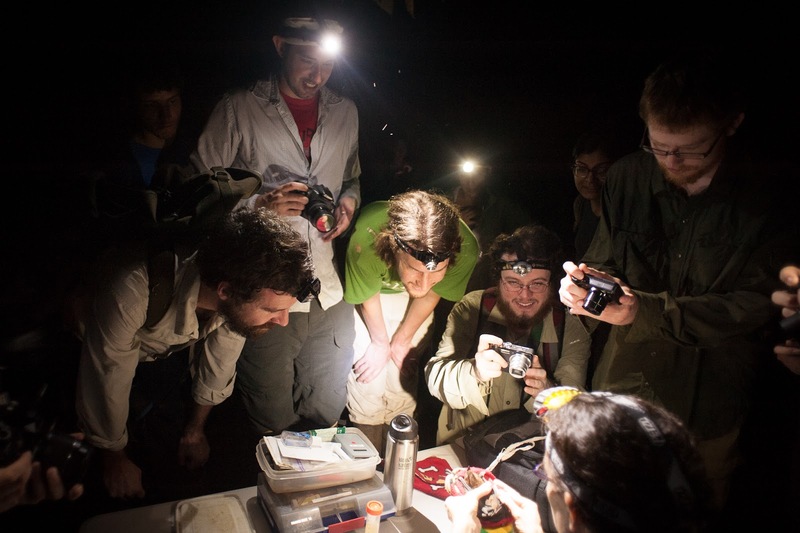 The Gamboa Schoolhouse is currently housing eighteen students from four universities: McGill, University of Illinois, Arizona State University and Universidad de Panamá. U of I students are here on an IGERT (Integrative Graduate Education and Research Traineeship) programme funded by STRI, which focuses on the interface between tropical biology and genomics. ASU students are here as part of the beginning of a collaboration between their university and STRI, similar to McGill’s ongoing partnership with the institute. After Tuesday's seminar in the Tupper Research Centre (which was on long-term ecosystem development and terrestrial plant diversity) some of us stopped in El Rey Supermarket on urgent business: we had run out of beer. On the way back, stuck in a traffic jam, we chatted in Spanish with the two Panamanian students (Larissa and Alejandro) and played a game of “Voy al supermercado y pongo en mi bolsita…” Spanish lessons have never been so fun. Yesterday we were given a lecture about bat foraging behaviour, and then were taken to the bat lab in Gamboa to learn about some of the research going on here. 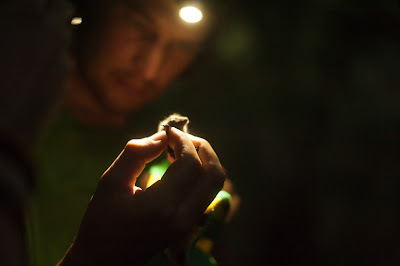 At night, we were taken into the forest to observe bats caught in mist nets. 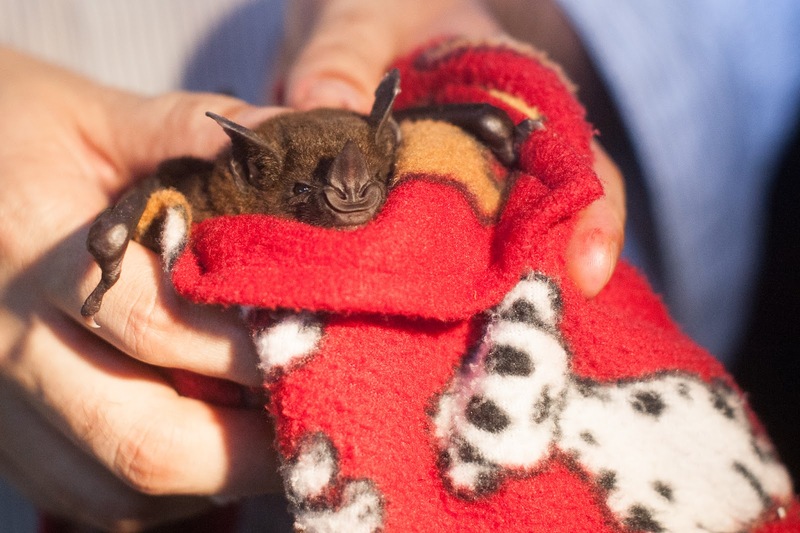 It was an unusually fruitful night (pardon the pun), as we caught about 15 bats in the space of two hours. We also caught glimpses of night monkeys, an armadillo and a boa, and were serenaded by the eerie wailing of howler monkeys. Not a bad day in the field! Here are some pictures, courtesy of Alex. 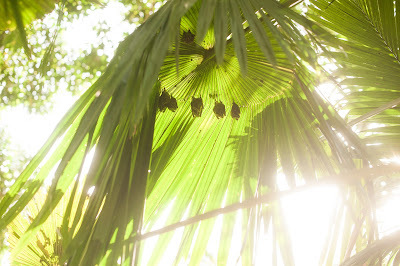 Peter's tent-making bats hanging out in a backyard. 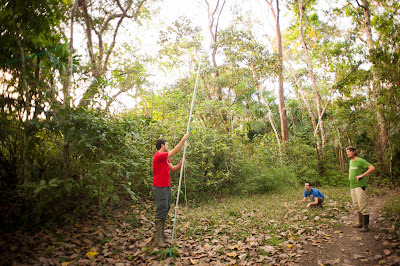 Setting up mist nets in the forest. 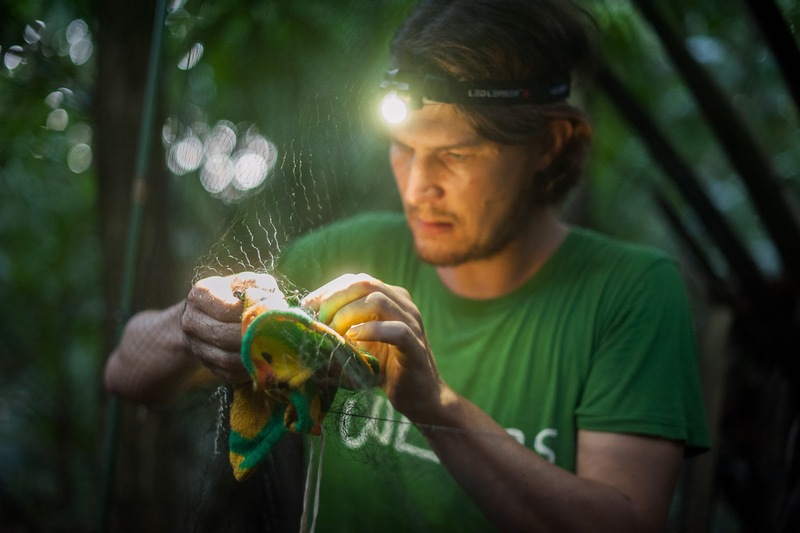 Untangling a bat from the mist net. 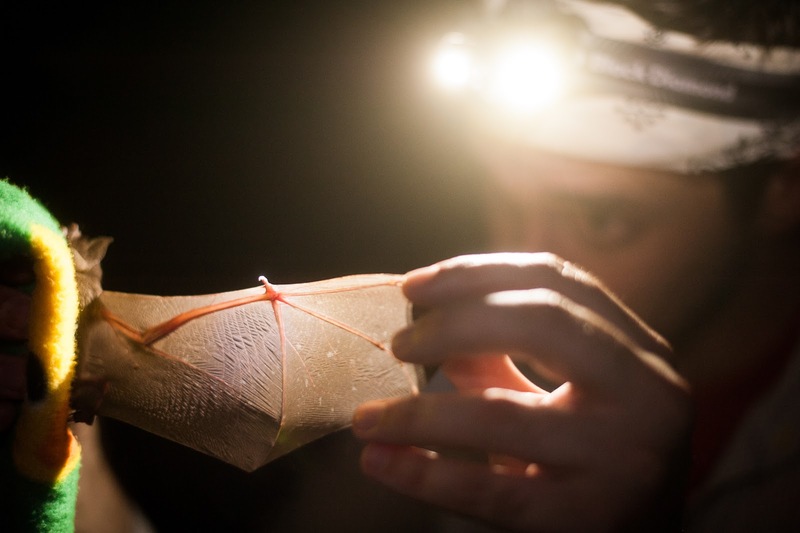 Examining the bat under light. Bat day was the best day.